Hello everyone, and from my desk at LearnKey to yours, a very Happy New Year! 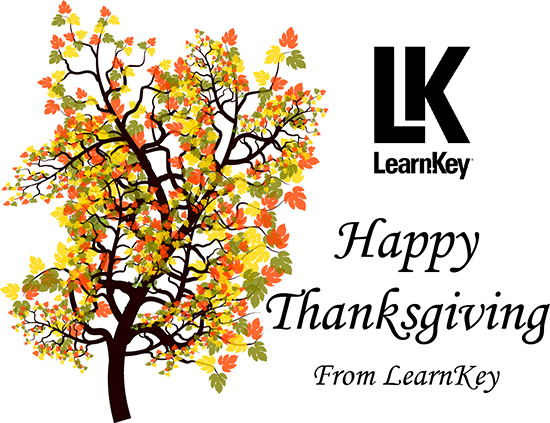 Now, with a new year comes new ideas, new challenges, and here at LearnKey, new courses. One series of courses we are focused on for the early part of 2016 is the Microsoft Technology Associate (MTA) series of certifications. An MTA certification is a great way to gain an entry-level Microsoft certification and put you ahead of others in this ever-increasing competitive world of IT positions. To start the year, we have just released the MTA Mobility and Device Fundamentals (Exam 98-368) course. This course covers using Windows on multiple devices with the primary focus being the Surface family of tablets. But, trust me when I say you do not need a Surface tablet to take this course. Any laptop or tablet running Windows 8.1 will do. In addition, you will learn about tools administrators use to host these devices, both corporate and personal, in a corporate environment. Another MTA course coming early in 2016 is the MTA Cloud Fundamentals (Exam 98-369) course. This course will show you how to enable and manage Microsoft cloud services, administer Office 365, administer Microsoft Intune, and support cloud users. Both of these courses and certifications represent the growing IT industry concept of people-centric rather than device-centric computing. It was not that long ago that most employees in a corporation had one device, either a desktop or a laptop. And, their data was kept either on that device or on a network server. Fast forward to 2016. Now, most employees view data on many devices: desktops, laptops, tablets, and smartphones. Some of these devices are company-issued, and some are personally owned devices. With that, data needs to be more accessible both from inside and outside a company network. This is where the cloud storage and cloud environment features have come to the forefront of data management. So, having both the Mobility and Device Fundamentals and Cloud Fundamentals certifications will show that you are keeping up with the times. All three of these courses will contain several hours of video-based instruction, a robust workbook full of hands-on exercises, and pre-assessment and post-assessment tests that are geared specifically to ready you for these MTA exams. So, if you are looking for a first goal of 2016, why not make that goal an MTA certification? Good luck with all you set out to do in 2016. Hello, it’s me, your humble senior instructor hoping you all had a nice Thanksgiving. I sure did because my football team gave me a nice birthday present with a victory over the weekend! So, today I want to update you on a couple of items we brought up in previous blogs. First, during the first half of our filming the A+ 900 series, Brad asked me a few questions about the course, which I attempted to answer. Now, we are wrapping up filming on the second half of the A+ course, so I can fill you in on some more details. First, we are going to be releasing this course in two parts: one for each of the 900 series exams (220-901 and 220-902 for those of you who live by exam numbers). Both will be released early in 2016, about a month apart. We are going to this model of one course for each exam for one reason: to keep your focus on one exam and not worry when studying about which topic is on which test. Secondly, in addition to the pre-assessment and post-assessment tests, the courses will have several mini-quizzes in the middle. On many occasions, after a unit is complete you will see my smiling face asking a review question. This will give you a chance to pause (or rewind), think of an answer, and then see how you are progressing with the material. I know when I am studying for an exam, I like to have a lot of reinforcement of the material, so we are doing plenty of it in this course. Thirdly, I do believe you will find some of the segments quite entertaining as well as educational. How can a topic like A+ be entertaining, you wonder? Well, you will just need to find out when the course is released. That’s my update on A+. Before I go, I want to give you a gentle reminder on a very cool Microsoft promotion. It is called the Second Shot promotion and it is good until January 16. Basically, it means for any Microsoft Certified Professional (MCP) exam you take between now and January 16, if you happen to not pass the exam, you get a second chance at it for free! For those of you who tend to put off taking an exam because you are not sure if you know the material well enough, what better way to find out than to basically take a free shot at one? I know I will be taking advantage of this in the next few weeks. Well, I hear the “let’s go film” call so I will talk to you all later. Be well and take care.